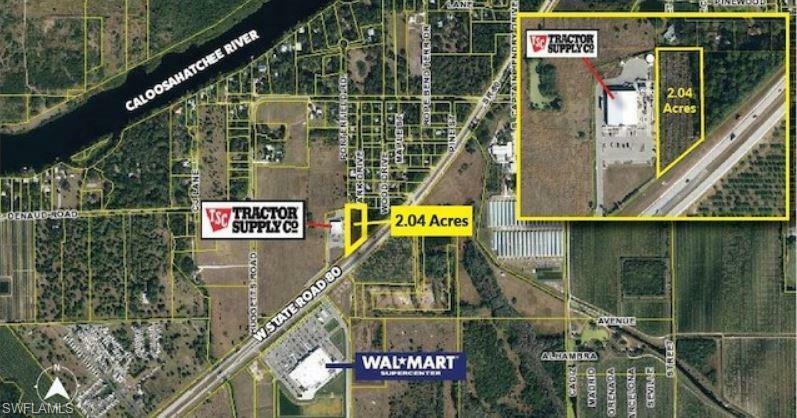 With State Road 80 frontage, this rectangular-shaped lot is adjacent to a national franchise Tractor Supply store and situated across from Walmart Super Center. The property is in a developing commercial area just west of downtown LaBelle. Zoning is Agricultural-2 with the potential to rezone to Commercial.